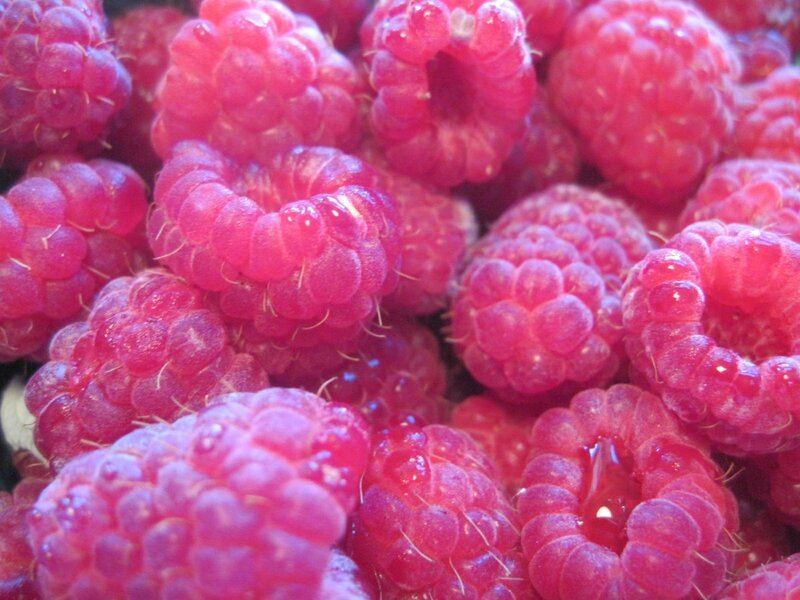 My favorite – Raspberries – freshly picked from the Farmer’s Market. This is how dreams start, recipes are going through my head. Or, should I just eat them now? 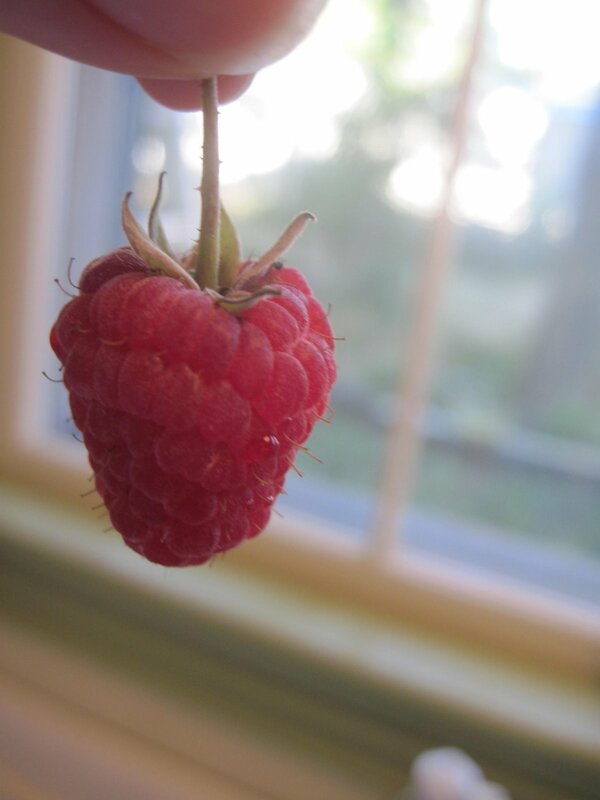 Here she is Miss Ruby Raspberry! You go girl, work the camera, that’s right, you know you got it going on! But wait! 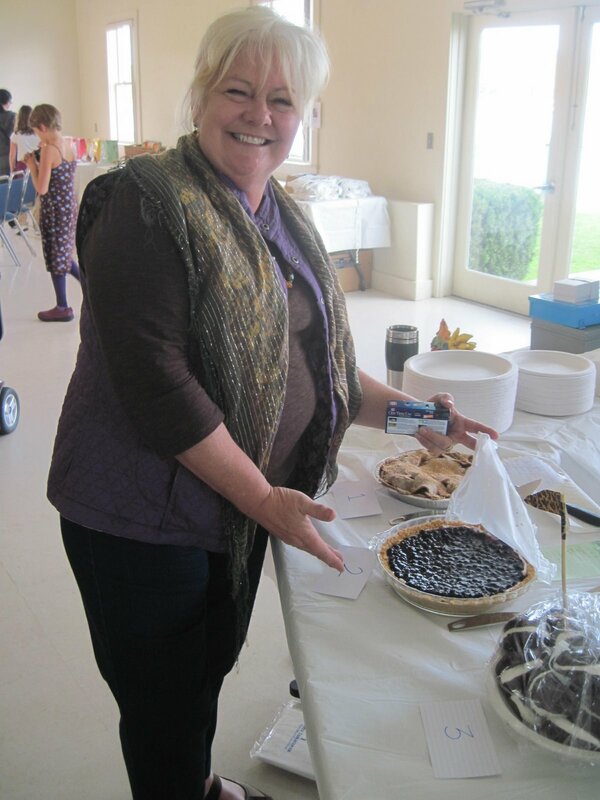 There is a pie contest today! 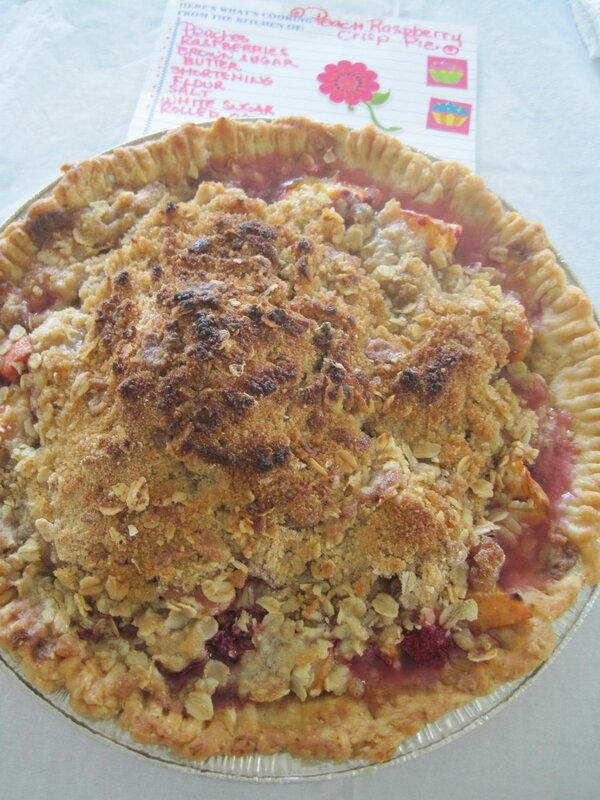 I have peaches, I have raspberries, I can make a pie, but I need to have it at the contest in 1 1/2 hours! Better start baking!! 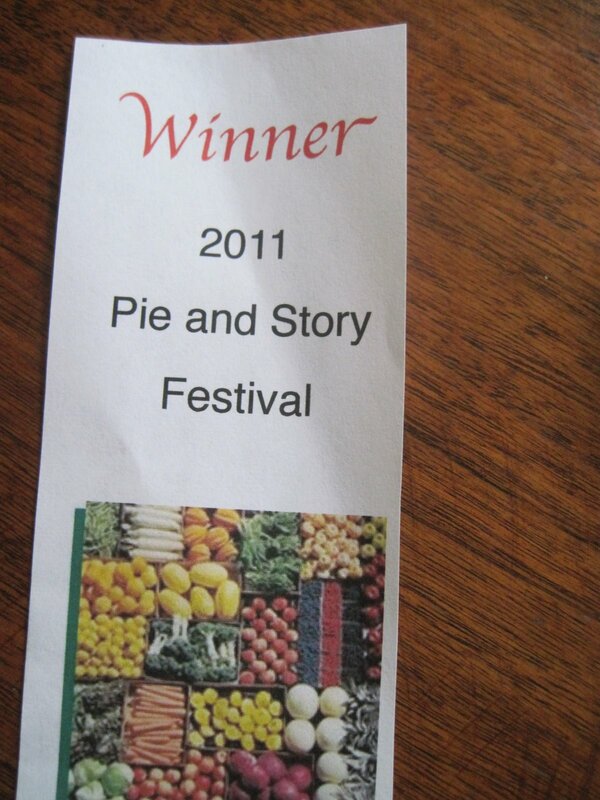 I didn’t take photos of the making of the pie because I was…..well…….. trying to make it as quickly as possible to get it delivered to the contest. Off it went, piping hot out of the oven…………. 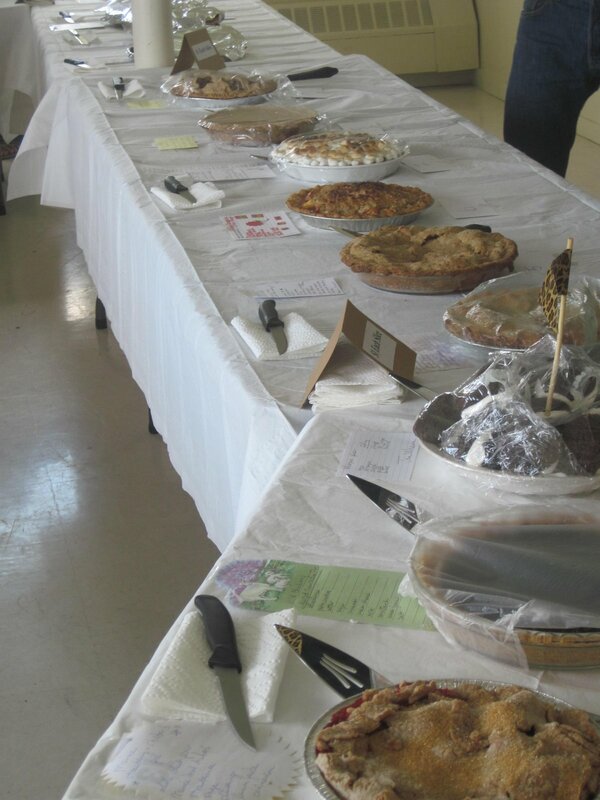 What a beautiful selection of pies. 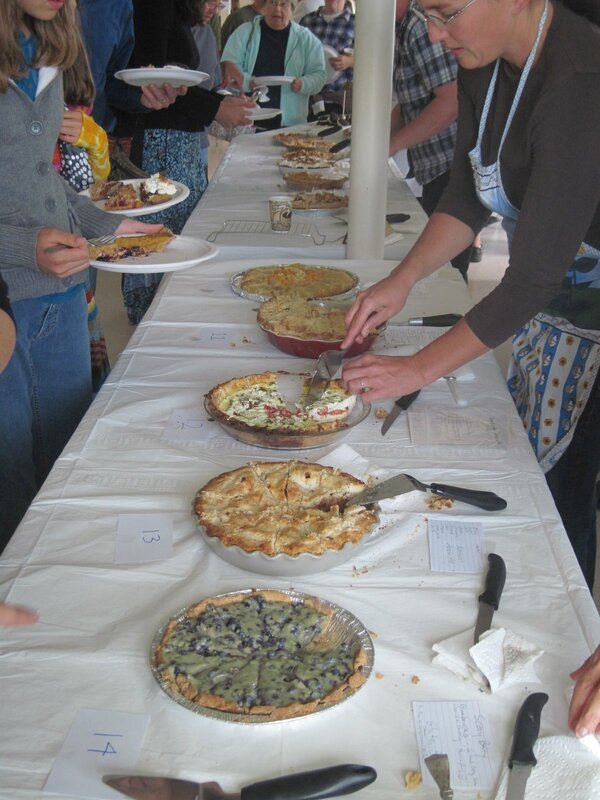 Which pie should we try??? 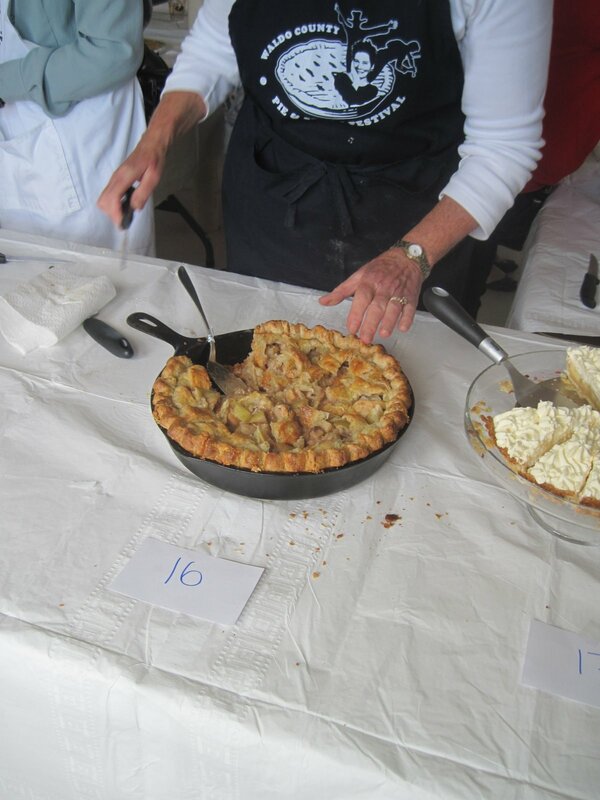 It’s a very serious job, serving pie… especially when the crowds started lining up by the hundreds . 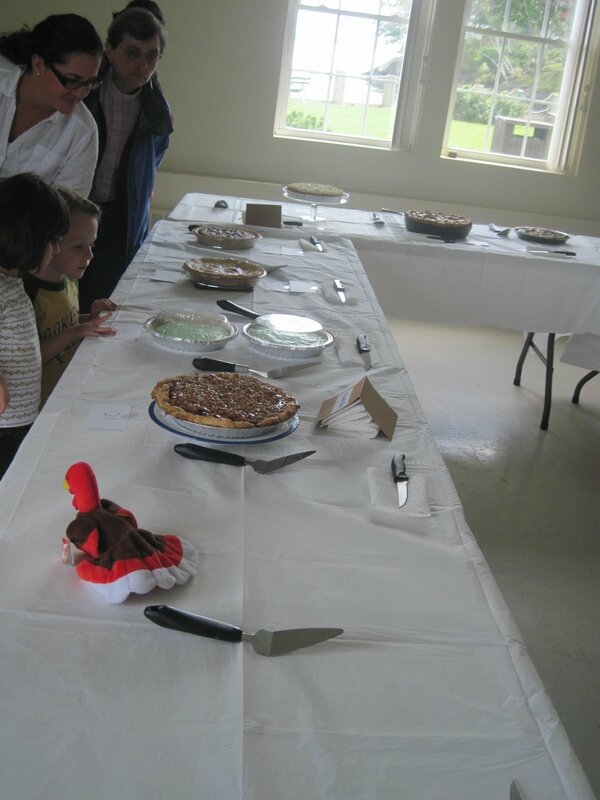 Kids, parents, grandparents, grand kids were methodically choosing their slices and excited about their sugared state of euphoria. 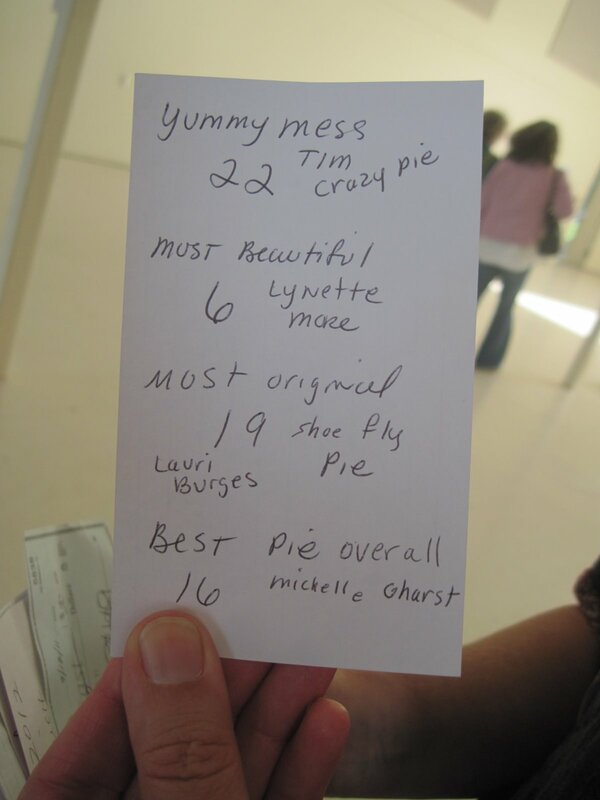 The ballots were tallied, my pie won “ Most Beautiful Pie” ! Miss Ruby Raspberry- you are the most beautiful- you too Miss Pamela Peach! Mix 1 1/3 cups of flour and 1/2 teaspoon of salt. Cut in 1/2 cup shortening with a pastry blender or two knives until mixture looks like tiny peas. Sprinkle 3 to 4 tablespoons of cold water, 1 tablespoon at a time, stirring with a fork after each addition. Mix lightly until all flour is moistened and pastry almost cleans side of bowl ( add 1 to 2 teaspoons water if necessary). Pat in bottom and up sides of pie pan. Press Fork around edges and bottom of pan. 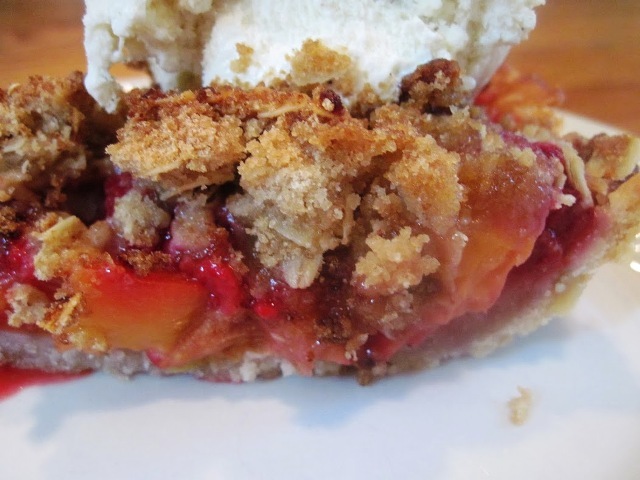 In a medium bowl, toss peaches, raspberries, 2 tablespoons sugar and 1 tablespoon flour. Turn down oven to 375 F. In a medium bowl, stir together 1/2 cup flour, 1 cup sugar,oats, and salt. 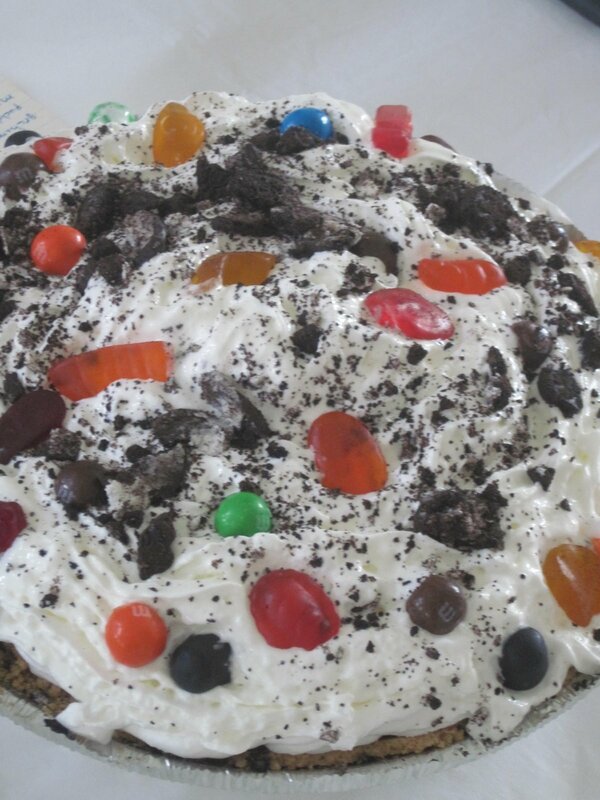 Place topping on top of filling. Cover crust with strips of foil so not to burn. 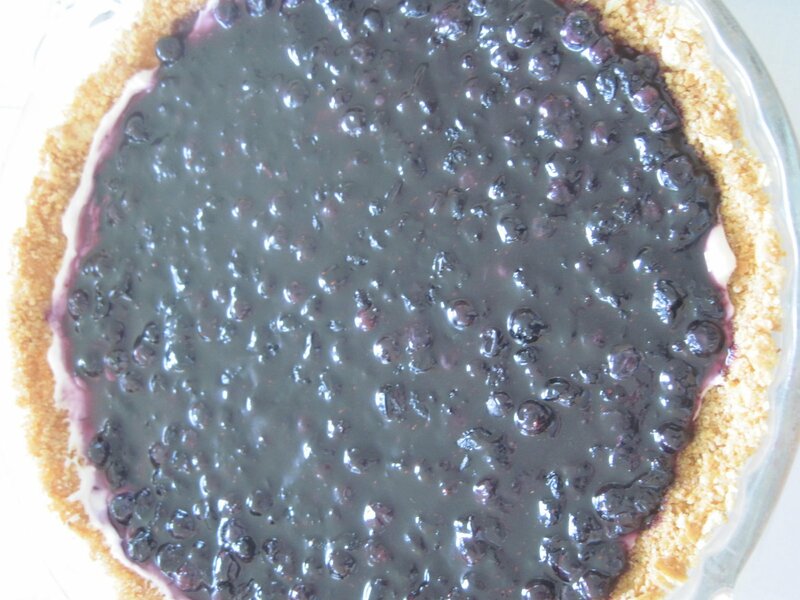 Bake pie until topping is golden brown and fruit is bubbling, 40- 45 minutes.